Ilana Cravitz, violin Ilana is one of a handful of professional violinists playing klezmer music in the traditional style. 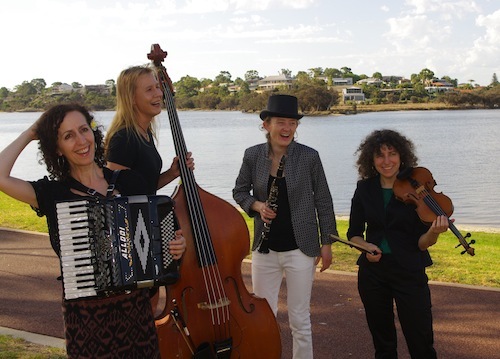 She has introduced hundreds of people to klezmer through her playing and via courses and workshops at universities, schools and conservatoires, and international events like KlezFest, the Genius of the Violin Festival and Fiddles on Fire. 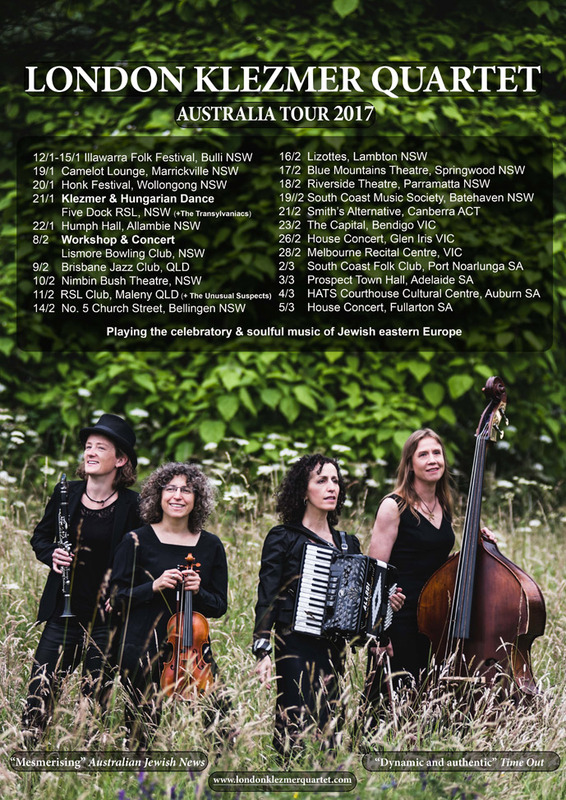 Her book, ‘Klezmer Fiddle – A How-To Guide’, is published by Oxford University Press. With colleague Guy Schalom she originated the concept of the 'klezmer keilidh' under the banner Hopkele, and regularly calls for Yiddish dancing. Ilana studied baroque violin at the Royal College of Music, London, and often guests with The Muckers, a London ceilidh band. 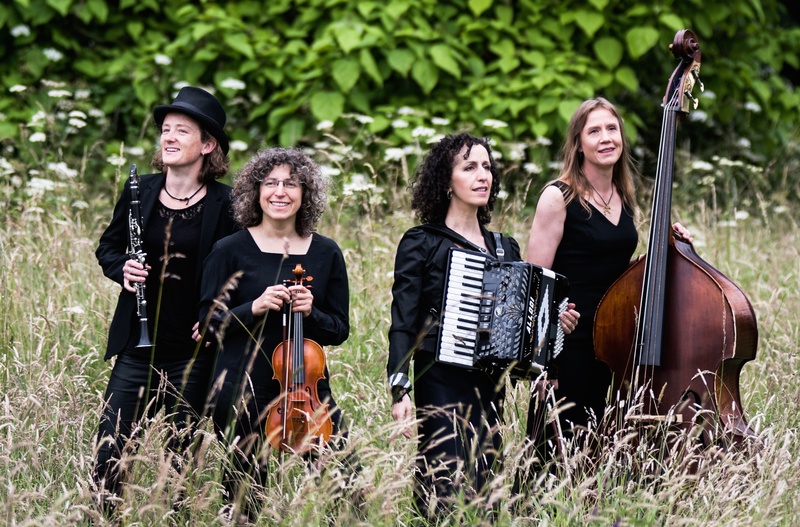 She recently recorded a session for Radio 3' World Routes strand with Sephardic music group Los Desterrados. 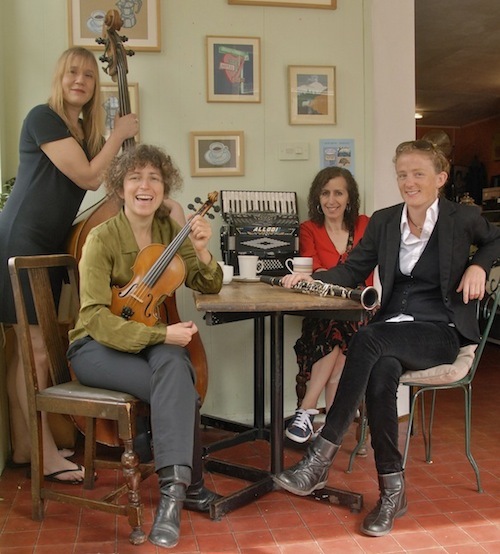 Susi Evans, clarinet Susi's performances have inspired press reviews remarking on her “nimble solo features and excellent tone control” (The Scottish Herald), and “infectious enthusiasm” (Oxford Times). 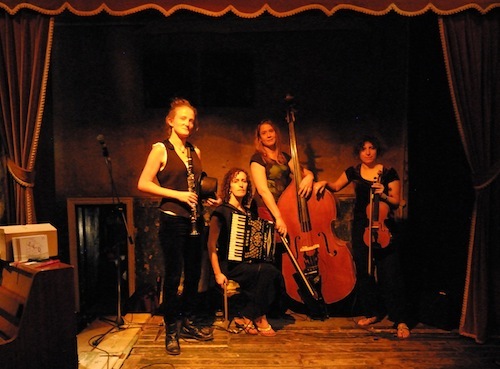 Susi also fronts She’koyokh – a band she co-founded 10 years ago that has won awards and performed internationally at festivals and venues as varied WOMAD, The Concertgebouw and Buskers Bern. Susi also appears regularly on the West End stage in the award-winning show War Horse and has recently collaborated with the Aurora Orchestra, Abdullah Chhadeh and Kalman Balogh & Alan Bern (The Other Europeans). 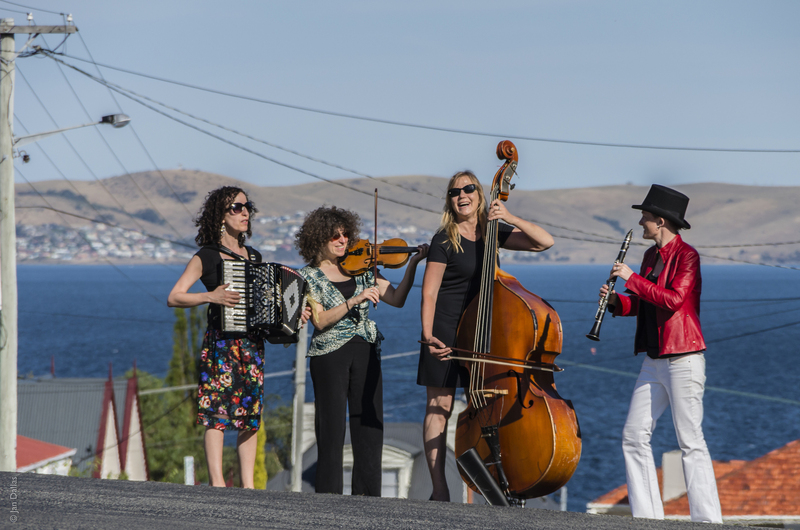 She graduated from the Royal Academy of Music with a first class degree in 2004 and, having also studied in Istanbul with acclaimed clarinettist Selim Sesler, leaders of the klezmer revival, and top Bulgarian clarinet players, is now in demand as a teacher herself. Carol Isaacs, piano accordion A classically trained pianist, Carol works as a keyboard player and accordionist in the pop and world music fields. She has recorded and toured with many international artists including Sinead O’Connor (Ireland), The Indigo Girls (US), Bonnie Raitt (US), Joan Baez (US), Jackson Browne(US), Sam Brown (UK), Squeeze (UK), Midge Ure (UK), Latin Quarter (UK), Robert Palmer (UK), Natacha Atlas (Egypt), Sheik Taha (Egypt), Ahmed Mukhtar (Iraq), Abdel Ali Slimani (Algeria), Guesch Patti (France), Phongsit Khampee and Surachai Janthimatorn (Thailand). 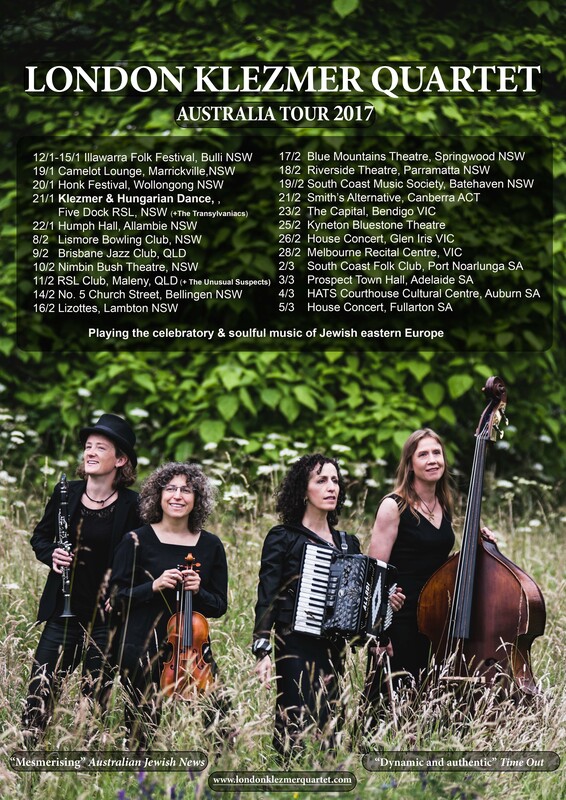 Carol is a founder member of klezmer duo Kavona, and of Hamsa, of the new 'Mediterranean Mélange'. Indra Buraczewska, double bass (Australia) After graduating from the Victorian College of Arts (Australia) as a classical violinist, Indra discovered the wonderful world of the bass. She has played a multitude of genres, from original pop and Balkans to jazz and funk. 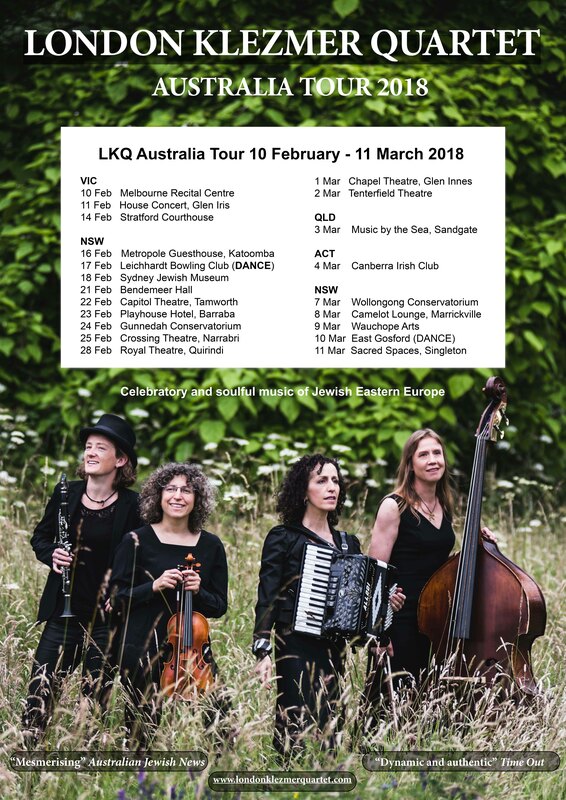 Touring throughout Europe, Indra has played at the Edinburgh and Galway festivals, and in Australia has appeared at major festivals including Woodford, the Falls Festival, Earthcore and the National Folk Festival. She played bass for the gypsy trio ‘Vardos’ for six years and for Balkans quartet ‘Byzantine Blue’. 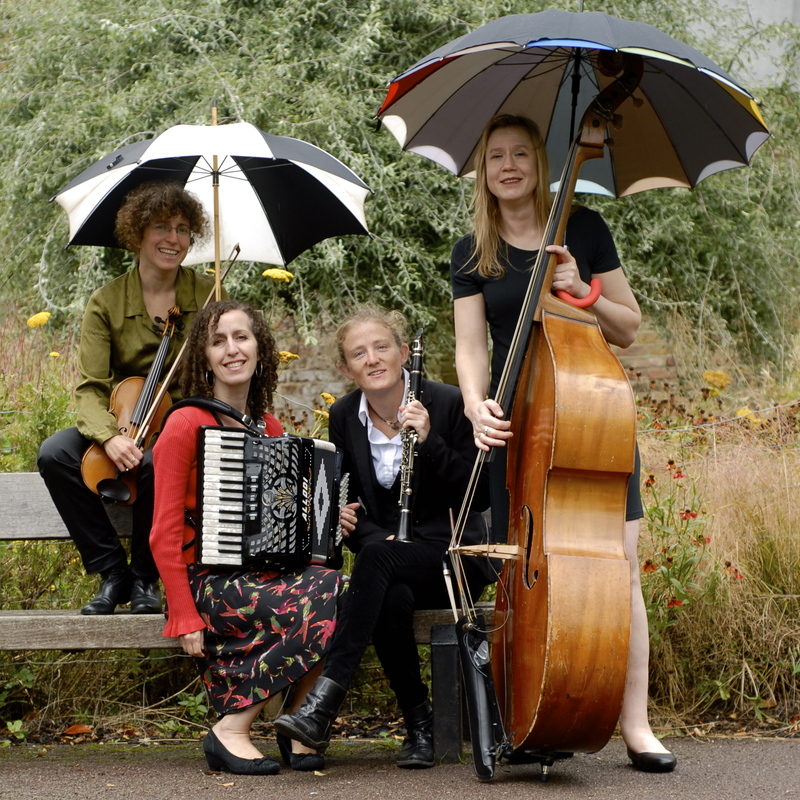 Indra, now resident in Latvia, first joined the London Klezmer Quartet for their 2012 Australian tour and plays double bass on their second album 'Butterfield Green' (2012), additionally providing much-lauded vocals to their latest albums, 'To the Tavern' (2016) and 'London Klezmer Quartet Calling' (2014).